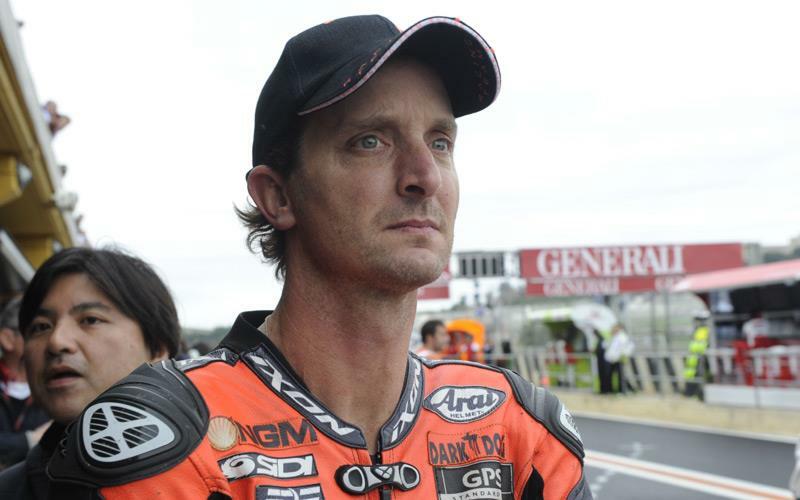 Colin Edwards has held tentative talks with senior Yamaha management about his Forward Racing squad leasing a YZR-M1 engine and electronics package for the 2014 MotoGP world championship. Yamaha will lease as many as four YZR-M1 motor packages for 2014, as the factories commit more entries to end MotoGP being a two-tier class with factory prototypes and production-based CRT machinery. Honda has given the go ahead to plans to sell a production version of its factory RC213V prototype, with a target price of around £800,000 to make it affordable and attractive for non-factory teams. Edwards confirmed to MCN during last week’s Valencia MotoGP test that he had spoken to Yamaha boss Masahiko Nakajima about the YZR-M1 engine-leasing project at the Malaysian Grand Prix in Sepang last month. Edwards is keen to renew his long-standing relationship with Yamaha after leaving the Monster Yamaha Tech 3 Team at the end of 2011 to embark on a nightmare season on the struggling Suter-BMW machine. The Texan rode for Yamaha in MotoGP between 2005 and 2011 and he scored 10 podium finishes. But his roots with the Japanese factory can be traced all the way back to his early years racing in America. He also raced for Yamaha's factory World Superbike squad. The double World Superbike champion will switch to an FTR-Kawasaki in 2013 and he hopes to use the British-built chassis in ’14 with a YZR-M1 engine. Edwards, who will be partnered by Claudio Corti in the Forward Racing squad in 2013, told MCN: “I talked to Nakajima personally in Malaysia because I was hearing rumours of what was going on and what the options were for the future and that is definitely a possibility. "You’ve got to weigh it all up. With Honda you can actually buy the bike whereas the Yamaha is a leasing engine deal. But with my relationship with Yamaha I would love to get back in there. "I’d imagine an M1 engine and electronics package is going to be pretty good and 100% it is a good base for somebody to build a package around it. When Edwards agreed to join the Forward Racing CRT squad for 2012, he had hoped to use Yamaha R1 engines in a frame designed and built by his former Tech 3 crew chief Guy Coulon. That project never materialised but Edwards starting talks about the package he will ride in 2014 is proof that he has no intention of quitting the sport. If Edwards is still racing in MotoGP in 2014, he will have already reached his 40th birthday by the time of the first race.